Q. What is the ASB and what is the process for developing an Actuarial Standard of Practice (ASOP)? A. The Actuarial Standards Board (ASB) establishes and improves standards of actuarial practice. These Actuarial Standards of Practice (ASOPs) identify what the actuary should consider, document, and disclose when performing an actuarial assignment. The ASB’s goal is to set standards for appropriate practice for the U.S.
For more information, contact Erica Kennedy at kennedy@actuary.org or (202) 223-8196. Q. I am a new member of the American Academy of Actuaries. How soon can I expect to receive my ASOPs? A. New members automatically receive their ASOPs within three months after their memberships begin. If you think you should already have received your set, please contact asbrequests@actuary.org. Q. If I am not an Academy member, can I still receive a complete set of ASOPs? A. Yes. You can view all current standards by clicking here. Q. When a new ASOP is released, should I call the ASB office to order it? A. You will receive notice of the new ASOP via email, and you will be able to download it from the ASOP webpage. Q. Will members receive a binder to accompany the ASOPs? A. No. The ASB no longer supplies binders for ASOPs. Q. If I have an idea for an ASOP, how should I submit it? A. In addition to ASB committees, outside organizations and individuals may submit proposals for standards to the ASB. A proposal for a standard should include a description of the subject of the proposed new standard; an explanation of why a standard is needed; a description of the urgency, if any, associated with the project; a description of the possible effect the proposed standard may have on other standards; a proposed timetable for completion of the standard; and a description of any issues on which the ASB should offer guidance to the committee that would work on the standard. Upon approving the proposal for a standard, the ASB will then assign the proposed standard to the relevant operating committee or appoint a special task force or committee. For further information, please contact the ASB office (asb@actuary.org; 202.223.8196) or submit a proposal online. Q. Can I attend the ASB meetings or any of its operating committee meetings? 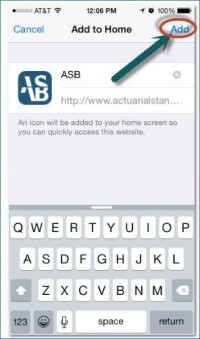 A. ASB meetings and ASB committee meetings are held in compliance with the meeting policy established by the American Academy of Actuaries. The ASB office should be notified of any intent to observe meetings at least 10 days in advance of the meeting by contacting Assistant Director of Professionalism, Erica Kennedy at kennedy@actuary.org. Unless otherwise noted, meetings take place at the American Academy of Actuaries’ office in Washington, D.C.
Q. How can I assist with the development of ASOPs? A. Please contact the ASB office (asb@actuary.org; 202.223.8196) to ask questions, make suggestions, or express your interest in the development of standards. The ASB staff can put you in contact with the appropriate person, such as an operating committee chairperson.